Hadromeros keisleyensis, copyright The Hunterian Museum and Art Gallery. 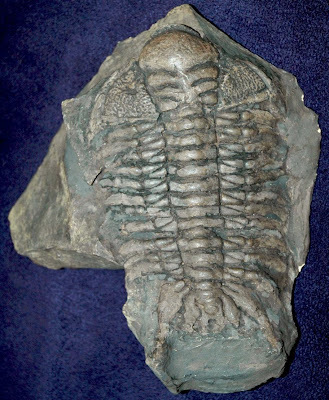 Hadromeros is a genus of trilobites known from warm waters of the Middle Ordovician to Early Silurian. Members of this genus have three pairs of well-defined pygidial spines, sometimes also with an unpaired medial spine (Přibyl et al. 1985).